SKF has developed a new bearing generation for railway applications that offers lower life-cycle costs and longer maintenance intervals. Laboratory and field-test results confirm the performance expectations. 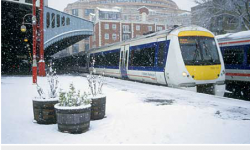 When considering tapered journal bearings for railways, safety and reliability are a matter of bearing design. Design has a further impact on the life-cycle cost. Today, many kinds of railway vehicles are equipped with the TBU design – the tapered roller bearing unit. All parts are mounted in a ready-to-fit unit. The new compact tapered roller bearing unit (CTBU) design consists of fewer parts and offers mass- and space-saving opportunities as well as housing design simplifications. For example, the axle length can be shortened and axle bending limited. SKF has maintained a key focus in the conceptual development of new bearing designs with the ability to achieve the increased load capacities required by the global customer base. 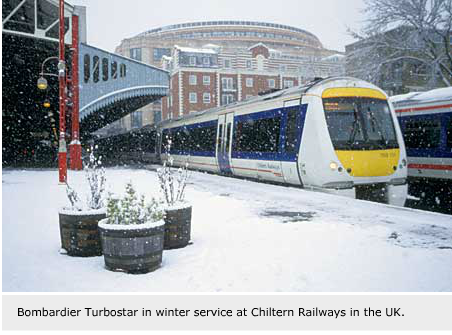 The CTBU concept requires less maintenance with an impact on cost reduction, provides higher safety and reliability and is pre-equipped with advanced component technologies that allow railway operators time to react if severe bearing conditions occur while in service. The conventional inch-sized design was standardized by the Association of American Railroads (AAR), for which SKF is fully approved since 1977. 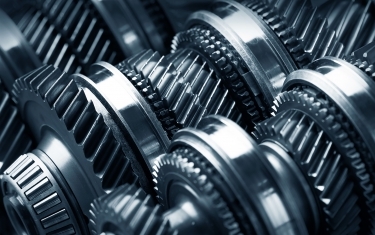 From the outset, these roller bearings were designed to replace troublesome plain bearings. 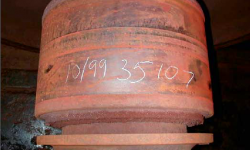 The plain bearing required a relatively long axle that tended to bend in operation, causing additional wear on several parts of the bearing system, especially on the contacting surfaces of the seal wear ring. Fretting particles then could enter the bearing, reducing its useful life. The conventional TBU design involves rubber contact seals, known as garter seals, that ride on special seal wear rings. All parts are mounted in a ready-to-fit unit. This design is used especially for adapter solutions that involve direct exposure of the unit to the environment. The CTBU design has a number of important features. New integrated low-torque seals: The new compact design principle makes additional spacers or seal wear rings unnecessary. 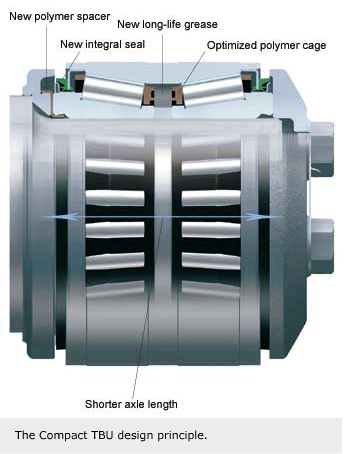 The sealing function is integrated into the bearing unit between the outer and inner rings. This feature helps save space and, as a result, minimizes axle bending in many applications. The design is based on a low-friction rubber seal principle; the main features are a combination of labyrinth, lip and flinger elements. Improved protection against contamination extends service life. Friction torque is reduced by up to 75 %, compared with a garter seal arrangement. As a consequence, the operating temperature is reduced by 20 °C, which contributes to longer grease life and energy savings. 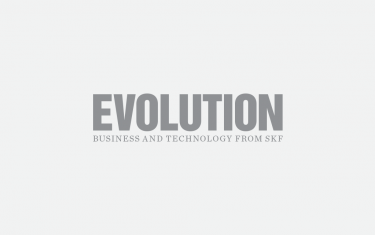 Results from the SKF seal test, which evaluates water and dust exclusion, confirmed that the de­sign was effective in excluding contamination. Long-term endurance tests have been conducted under very severe operating conditions. The new integrated seal has also passed the AAR approval tests. Polymer spacer: Fretting corrosion between the backing ring and the cone side face is caused by journal bending during operation. 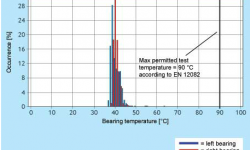 This corrosion not only causes foreign particles to enter the bearing but also increases axial bearing clearance, resulting in reduced performance and reliability. 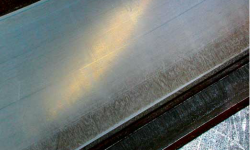 The development target was to avoid fretting corrosion by changing the steel-to-steel contact between the backing ring and the cone side face to steel-to-polymer contact. A spacer of reinforced polymer material is clamped onto the bearing components. Extensive tests were conducted on the new bearing, in some cases subjecting it to the equivalent of 800,000 kilometres of operation. There was no trace of fretting corrosion. 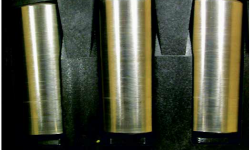 New long-life grease: For the CTBU, a long-life multipurpose grease for a variety of axlebox ap­plications was developed. Specifications considered the engineering requirements for high-speed operation as well as heavy loads. The resulting new grease has passed all chemical, mechanical and tribology testing procedures in accordance with the European Standard EN 12081. 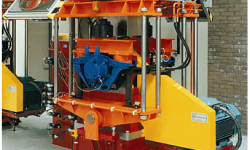 Extended endurance and dynamic simulation tests are being carried out on SKF railway test rigs to confirm the expected high mechanical and thermal stability as well as resistance to corrosion. The new grease will, therefore, extend intervals for routine maintenance as well as complete overhaul cycles. 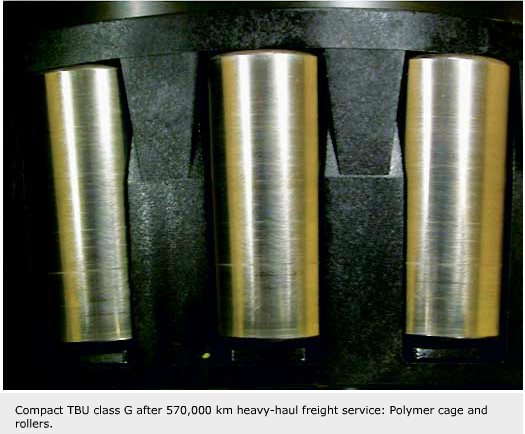 Polyamide cage: SKF had begun to introduce polymer cages for TBU applications in 1990, and today has vast experience in various applications, including freight cars in operation in Europe and China. 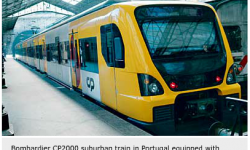 A variety of mass-transit vehicles, multiple units and passenger coaches also are equipped with polymer cages, as are several high-speed trains. This refined cage is made of reinforced polymer and has demonstrated excellent performance. The main user benefits are reduced friction, roller slip, wear and operating temperature and improved safety. Even under emergency running conditions, the unit operates without blocking. For the CTBU development project, the polymer cage design feature was refined even further to meet the tight space requirement. Compact design: This principle offers decreased journal-length opportunities and consequently lower axle bending, which allows higher loads. The decreased distance between the rows of rollers improves internal load sharing. 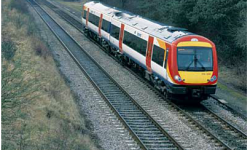 Rigorous testing procedures provide long-term reliability and performance of rolling stock. 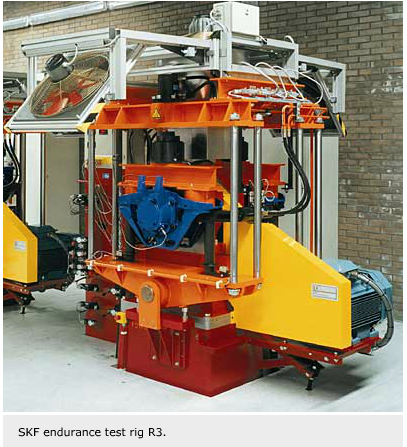 The main test facilities are located in the Railway Test Centre RTC inside the SKF Group Research and Development Centre in the Netherlands. The life testing and other tests were done in accordance to relevant specifications such as the new European standard EN 12 082 and specifications of the AAR. Based on these test results over 750,000 km mileage, the compact tapered bearing design for class K 6½” x 9” has reached a conditional approval from AAR. 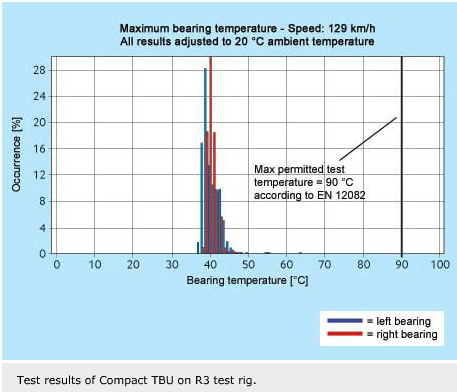 Beyond this quasi-static testing method, the behaviour of the compact tapered bearing unit was evaluated additionally under realistic operating conditions. 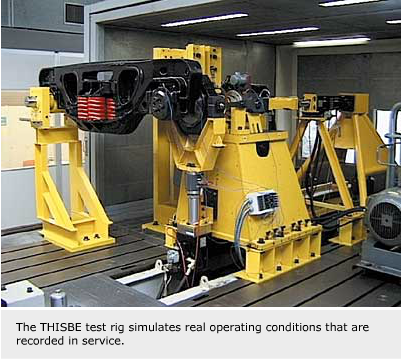 SKF has used a high sophisti­cated test rig called THISBE (test rig for high speed train bearings), which can simulate dynamic load conditions. Here the bearing and axlebox are fitted in part of an actual bogie frame, including the suspension system with springs and dampers. 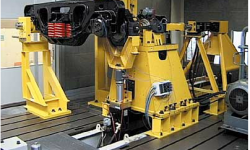 The rig is controlled by a computer using signals obtained by recording and analyzing actual loads, acceleration and displacements on axleboxes in service. A further target of the project was to develop a product range suitable for most market requirements. The new product range offers a more focused assortment, which is of benefit to OEM customers and meets aftermarket requirements as well. Further CTBU sizes can be developed on customer request. 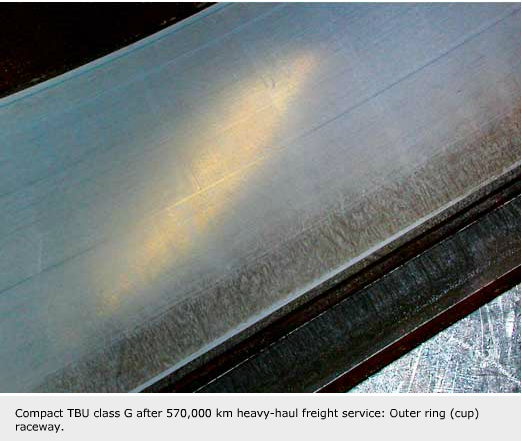 The width of the outer rings of the CTBU is the same as for standard TBUs; only minor modifications are needed on the backing ring and front cover to upgrade existing applications. Very soon after the market introduction, main OEM customers as well as railway operators were interested in the CTBU design principle. 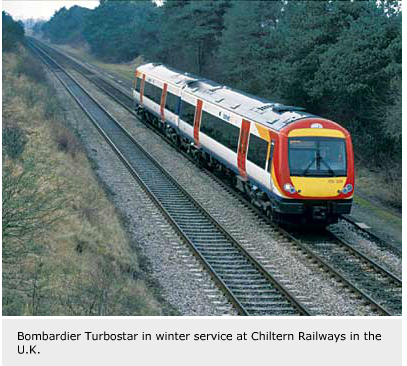 The Siemens modular Desiro train generation, which can be applied for long-distance service as well as for suburban and commuter systems, is equipped with CTBU 130 x 230 bearing units. 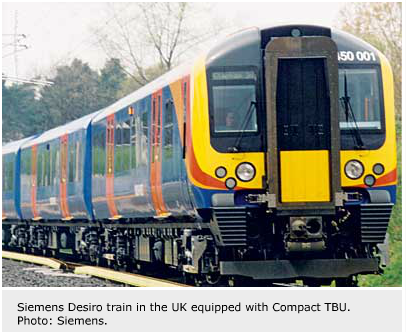 One main Siemens Desiro application is used in the commuter trains for the UK, which are running at maximum speed of 160km/h with 18 tonnes axle load. 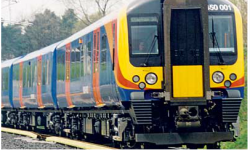 These Desiro trains are equipped with highly sophisticated axleboxes developed and designed by SKF. 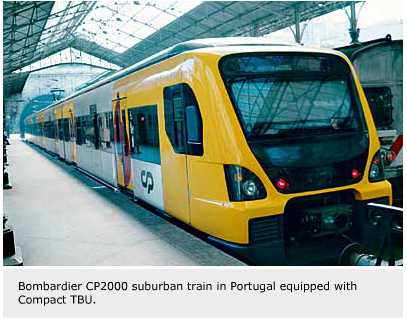 Another European application is in the Portuguese CP 2000 suburban trains, which are equipped as well with CTBU 130 x 230. For European freight cars, the CTBU 130 x 240 is in use at several operators. 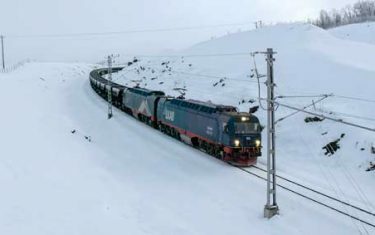 The standard axle load in Europe for the new freight car designs is, increasingly, 25 tonnes at a maximum speed of 120 km/h. The CTBU class K 6½” x 9” has reached a conditional approval form AAR – e.g., the Southern Company Coal Service has CTBU class K in service. An average mileage of 500,000 km is reached up to now. 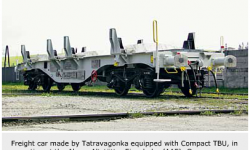 The axle load is 31.2 tonnes at a speed of 120 km/h. 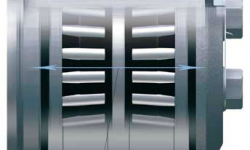 In total, more than 10,000 CTBUs have been delivered worldwide. Field experience is being gained in Australia, where CTBUs class G are under field test on Bradken trial iron-ore freight wagons at Robe River, operating from Pannawonica to the Western Australian coast at Cape Lambert. The CTBUs were inspected after having been in service for approximately three years, from January 2000 to February 2003, and have had completed 570,000 km. The bearings were found to be in excellent condition, with no signs of fretting corrosion between the backing ring and the cone side face. Extensive rig testing for freight and passenger operational parameters confirms the expectations of the new compact tapered roller bearing unit design. A larger range of different metric and inch sizes has been developed to meet the requirements of different axle loads. 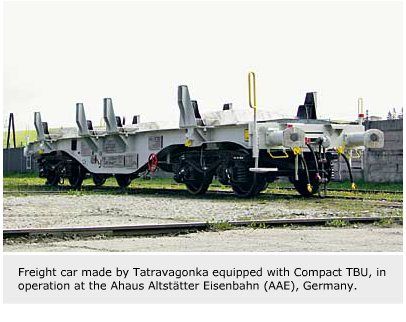 Today there are already several modern railway vehicles for passenger and freight service in full bore axlebox applications, as well as typical AAR adapter applications in Europe, North America and Australia equipped with CTBUs. 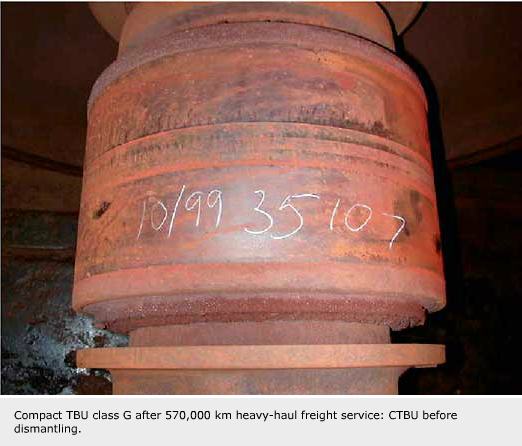 The tear-down inspection of the CTBU class G in Australia after 570,000 km mileage confirmed the design principle.